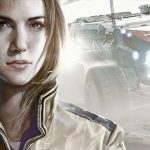 Get a sneak peek at Homeworld: Deserts of Kharak's Artifact Retrieval multiplayer mode from Blackbird Interactive's Rory McGuire (Lead Game Designer) and Jonathan Dowdeswell (Executive Producer). Homeworld: Deserts of Kharak is coming to Windows PC on January 20. Pre-order now and receive a free copy of Homeworld Remastered Collection!